The definition of a Winter Interest Shrub is simple, it is 'a shrub that attracts attention in the winter’. These deciduous plants shed their leaves, and in many cases, join the drab winter landscape. Even though they do not blend into the landscape, they do display a striking or unique form that catches the eye. The shrubs may have irregular branching or colorful stems, such as the red twigged dogwood (Cornus) family. Burning bush shrubs (Euonymus altus) create an architectural interest as the ‘wings’ or ridges surround the stems. Evergreen shrubs are specifically planted in landscapes to provide winter interest. The various greens or other shades of the evergreen foliage standout in a colorless location. One of the most widely used that makes an impression is the holly (Ilex). It exhibits bright shiny green leaves and contrasting red berries. Junipers are another good choice and may change shades or colors in various seasons. They are available in a wide range of sizes and plant forms as well. If you want your landscape to glow during all seasons, try the flowering evergreen rhododendron plants. 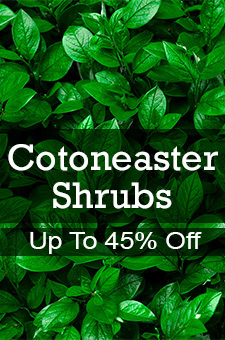 You can improve the aesthetic appearance of a lifeless, gray-brown area with our variety of winter interest shrubs! For more information click on any picture or call Nature Hills at 888.864.7663.